Rupina La Pass Trek combined with Tsum Valley begins from the Kathmandu and take you to Gorkha, associated with ancient town of Gorkha. 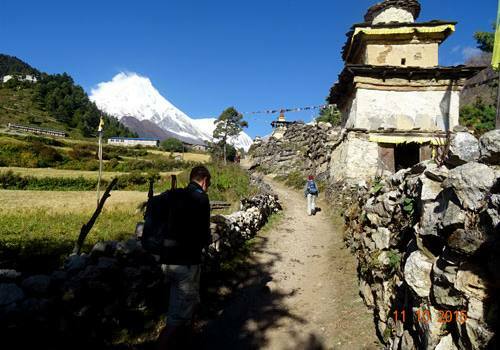 From here, you reach Barpak Village, wherever the current residents area unit the Gurung community. you'll then bear Gai Kharka, Rubina la Phedi and spending the Rubina la Pass at associate elevation of four,720 meters. you'll end up during a peaceful surroundings with jumbo peaks keeping watchful eyes over you. savouring the enthralling views, you start the descent. you'll then cross the Budi Gandaki watercourse and reach Tsum natural depression. Further, you'll descend towards Jagat and cross Machha Khola to succeed in Arughat Bazaar. you'll get to move with the locals here. From here, you'll take a non-public holidaymaker vehicle that may take you back to Kathmandu, and your trip ends here. The path are tough and strenuous on several sections. 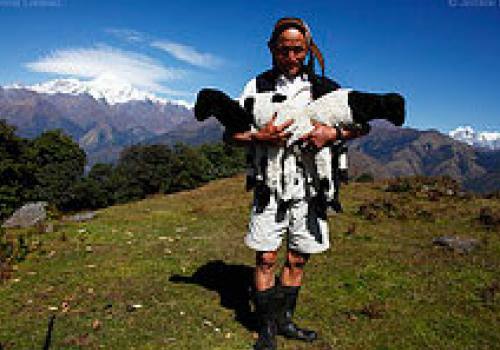 This trek can lead you to the region wherever you'll not see any single human settlements for continuous five-six days. The trek may be a glorious chance to witness the mountain chain with the inhabiting floral and faunal abundance. 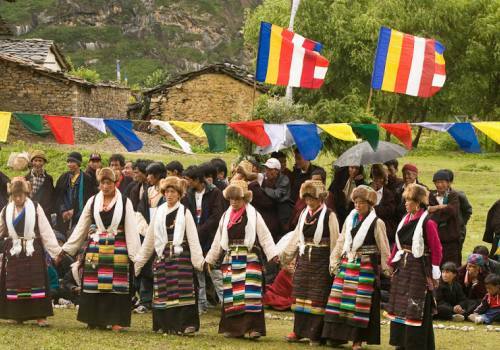 in addition, the made cultural heritage and heart-warming welcome build this trek a must-go-to. 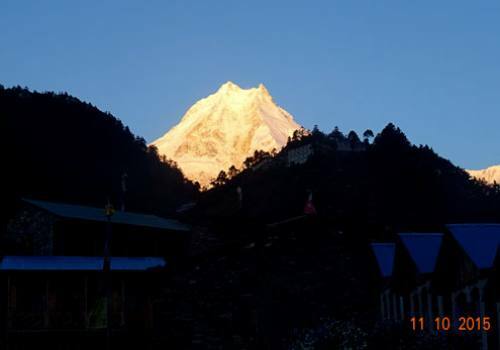 the most effective times to travel on this trek is from March to could and Sep to Oct.
All land transportation by Tourist Coach to/from Trekking pick up & drop as itinerary. Tented camp and staffs, foods, equipment duringt camping. Accommodation as itinerary best available Lodge / Hotel. Equipment, insurance, daily wages, accommodation, meals for support Crews.